Learn how to help an adult read, write and speak English or pass their citizenship or high school equivalency test. Volunteer training sessions are offered throughout the year in Hyannis. Check back here for news about future sessions! They are people who love to read. They read books, magazines and newspapers and realize the wealth of information and communication that is made available by the internet and other technologies. They recognize the burden that society carries when a substantial portion of the population is illiterate. What does it mean to be able to read? Every time you pick up a newspaper or magazine, read the warning labels on your prescriptions, open a birthday card or letter from a friend, STOP and just for a minute – think how different your life would be if you could not read. Cape Cod Literacy Council has a mission: To assure that every adult on Cape Cod will be literate. How can you help us achieve our goal? The finest legacy we can leave to those who come after us is a gift that makes the world better for our having been there. If you have a few hours a month and want to make Cape Cod better for your having been here, volunteer your time to the Cape Cod Literacy Council. We hold volunteer training workshops regularly, provide the teaching techniques for your tutoring sessions, match you with students and work with you throughout the sessions to assure success. “I’m involved in many activities, but I felt like I wanted to do something new to me. 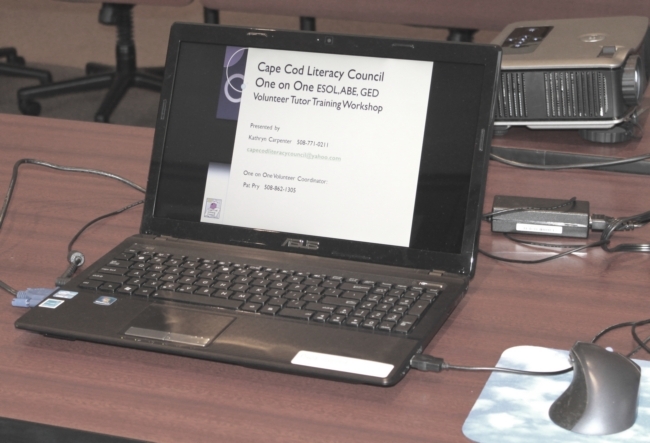 Last fall, I saw something in the newspaper about the Cape Cod Literacy Council. It sounded interesting and I ended up attending their training sessions. We learned about and practiced methods for tutoring adult learners. At the end of the training, I was matched with Kelly who grew up in Columbia and Aruba and spoke Spanish as her first language. Kelly and I began meeting each week in the library at Cape Cod Community College. 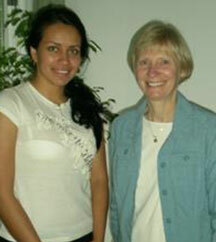 Immediately, I felt fortunate to have Kelly as my learner because she is very motivated and goal-oriented. She wants to become a nurse and needs to improve her English so that she can get accepted into the nursing program. Read more volunteer/student stories here.